As you may remember, I have become a big fan of Lloyd Shepherd, author of The English Monster and The Poisoned Island, in my opinion the best new historical fiction series in the last few years. (You can read my review of The Poisoned Island here...). 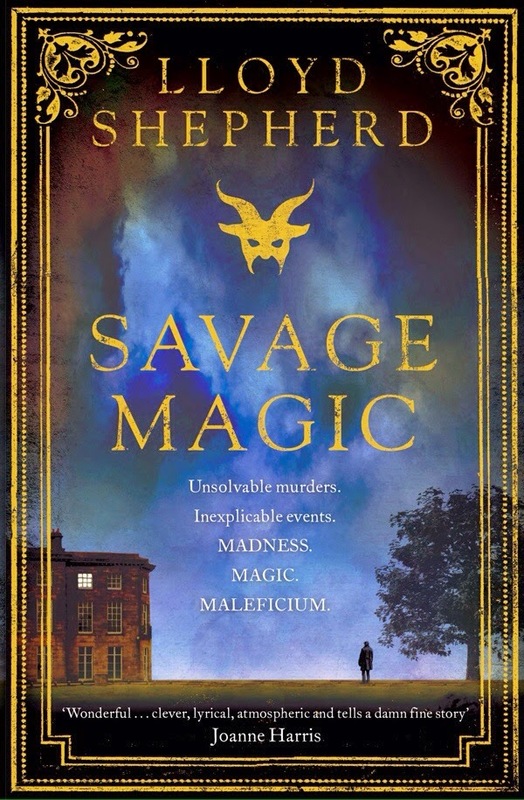 Well today I've finally received my copy of Savage Magic, the latest in Lloyd's series of stories revolving around the investigations of Constable Charles Horton, set in the early 19th century. I've not read it yet, but I'm confident it will live up to the last two stories, so buy yourself a copy and judge for yourself!! Ok, so due to a lack of productivity and focus, this is essentially My Month In Books this time around... If anyone can tell me where time disappears to, other than working, reading, sleeping, eating, drinking etc.. I'd be grateful. 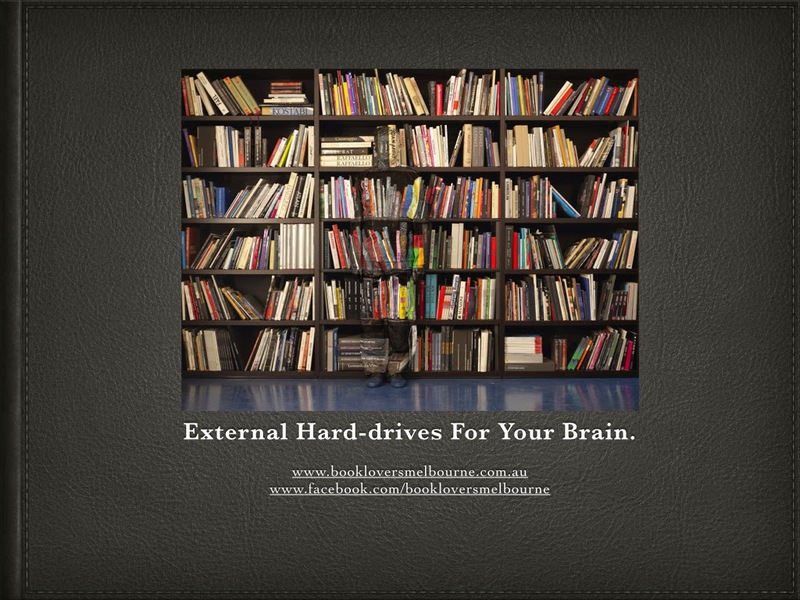 What have I been reading? Well, quite a mixture, though I'm definitely on a fiction roll at this point in my life I have to confess. 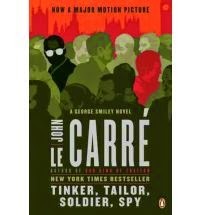 In the past few weeks I've finished Tinker Tailor Soldier Spy by John Le Carre, arguably the ultimate example of the spy-fi genre. It's twisting complex plot and deeply thought out characters are almost cliched now, but as the grand-daddy of such stories it is only the adoption by later authors of Le Carre's style that makes it appear to be so. The story is all to believable, scarily so in fact, a testament to the author's own time and knowledge in the British secret services earlier in his career. Definitely a must read. 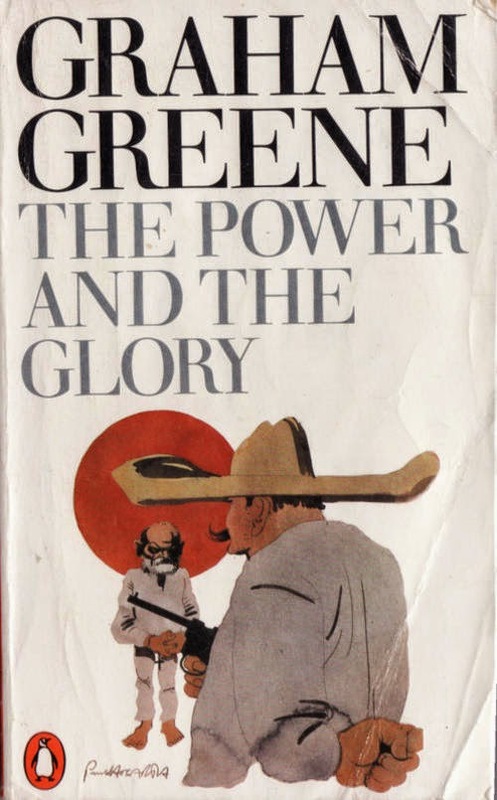 I've also finished Graham Greene's The Power And The Glory. For some this is Greene's greatest work, I'm not prepared to agree with that personally, indeed for the first fifty or so pages I found it somewhat frustrating and difficult to follow. The subject matter plunges deep into Greene's lifetime obsession with Catholicism, which, if I'm honest as an atheist, probably put me in a position of negative bias to start with. I'm glad I stuck with it, for all that, as the human story it portrays is a deeply moving one, even if, with my atheist head on, I found most of the characters so frustratingly narrow minded! Sticking with the tried and tested authors, I've also read through around a dozen of Agatha Christie's Hercule Poirot Short Stories from various anthologies I have lying around. I've developed a fondness for these little bites of entertainment, perfect for a read on the train, or for light relief between more 'substantial' works. 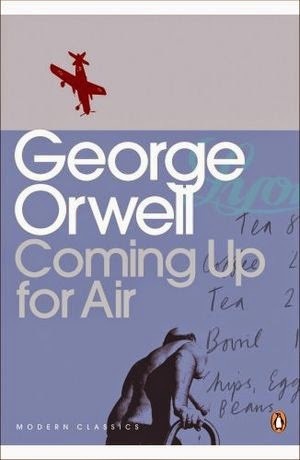 Currently I'm about halfway through George Orwell's Coming Up For Air unsurprisingly as an Orwell fan I'm throughly enjoying it. His ability to bring humour to his caustic, often sarcastic description of the lives of others is wonderfully bitter-sweet. As usual I've not been shy about spending my hard-earned cash on lots more books for the library here at Book Lovers base camp! There are far too many to list here, well it has been a month.... but in summary I managed to get my hands on a collection of twelve Penguin Colonial Facsimiles, produced in the 1970s. Whilst a bit faded and foxed, they are in sound condition and I can't wait to start cramming up on stories of bushrangers, convicts and adventures in the early days of the colony! 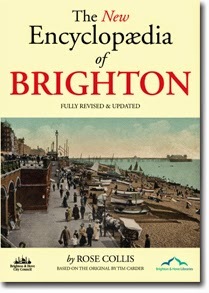 I've picked up a handful more old orange Penguins too, as well as a little splurge on four books about my home town, Brighton in England, to feed my genealogical desires that rise to the surface now and again. 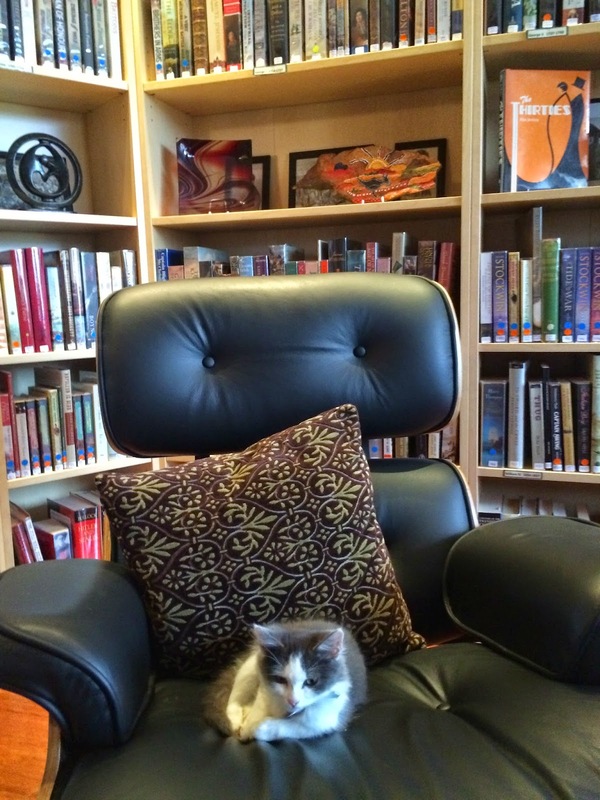 That's about it for this time, I will of course continue to feed your desires for pictures of books alongside cats, amusing book-related memes and pictures of libraries, before subjecting you to my next rambling journey through my week in books.